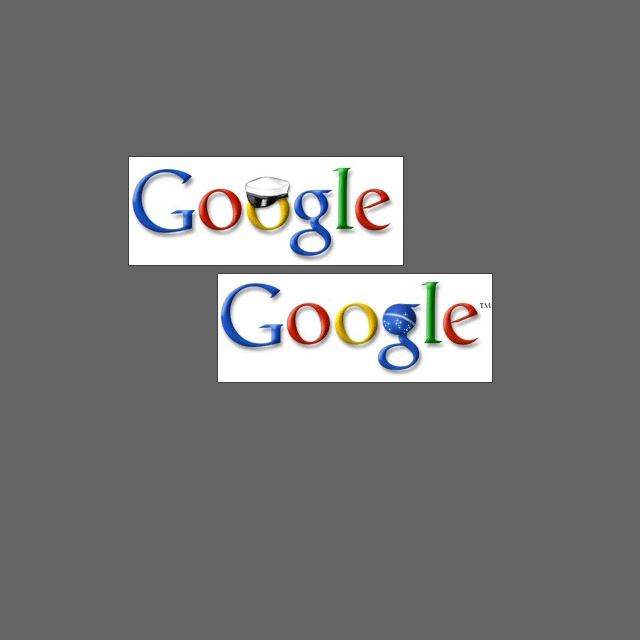 Google Logo Space. Click here to see full 9000 x 6750 version on Flickr. Close-up: small variations (the right part of the visualization). Close-up: medium variations (the center part of the visualization). Close-up: extreme variations (the left part of the visualization). 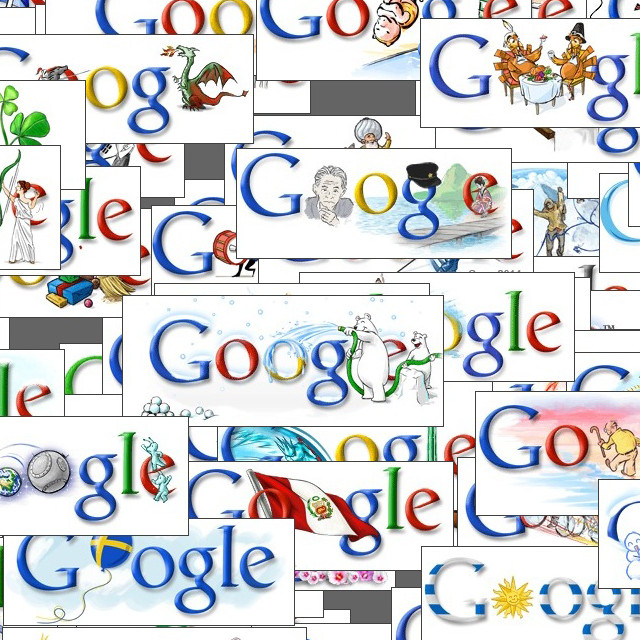 Every day billions of people see a new logo appear on Google’s homepage. Since 1998 these logo variations have explored an ever-growing range of design possibilities while still retaining the “essence” of the original logo. 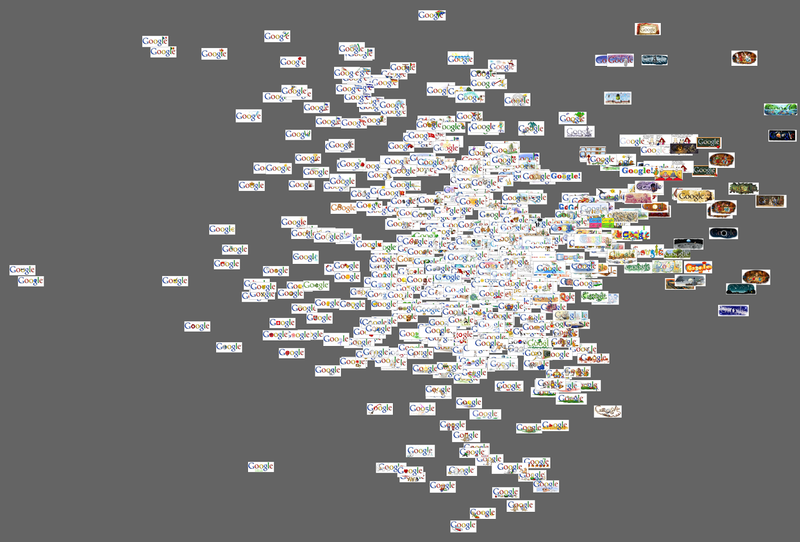 Our visualization of 587 logos shows the space of these variations. This visualization shows 587 versions of the original Google logo, which appeared on google.com pages between 1998 and summer 2009. 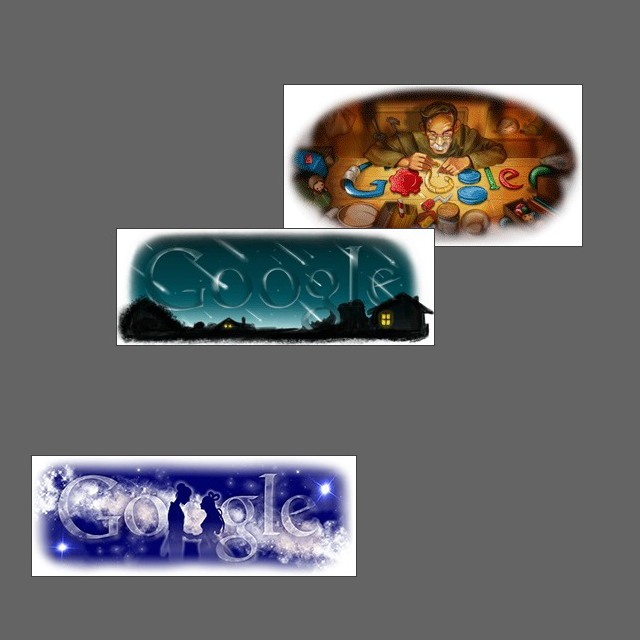 Some versions, which celebrate important events and people, appeared worldwide; others were only used on google.com home page in particular countries. Each logo version was automatically analyzed using digital image processing software to extract a number of visual features. The visualization uses these features to situate all logos in 2D space in such a way that their positions indicate how different each logo is from the original. “Difference” can be defined in many ways. Each definition would result in a different visualization. Our visualization shows only two of these possibilities. Horizontal placement (X axis) indicates the amount of logo’s modification from the original. The least modified logos are on the extreme left; the logos with most modifications are on the extreme right. Vertical placement (Y axis) indicates which part of a logo was modified. Logos where most of the modifications are in the upper part appear in upper part of the visualization; logos where most modifications are in the lower part appear in lower part of the visualization. Only a few logos have very small or very large modifications. These logos appear around the edges of the “cloud” in the center that consists from logos with moderate changes. The overall “shape” of this space of Google logo design variations is similar to the well-known normal (Gaussian) distribution which describes variability of all kinds of data encountered in natural and social sciences. However, if we are to plot the logos over time (not shown in this visualization), we will find a different pattern - the amount of logos’ modifications from the original design has been increasing significantly over last few years. Certain types of subject matter result in similar design solutions, which further structures this space of the design variations. For example, specific national observances often feature top-heavy additions of flags, fireworks, or crowns that cluster towards the top of the cloud, along with a set of logos featuring athletes in the air.